The crystal sprial necklace comes in Dragonfly colour crystals. The pack contains all the beeds you need to make a necklace and the clasp. You will need a needle and thread which can be purchased seperatly. 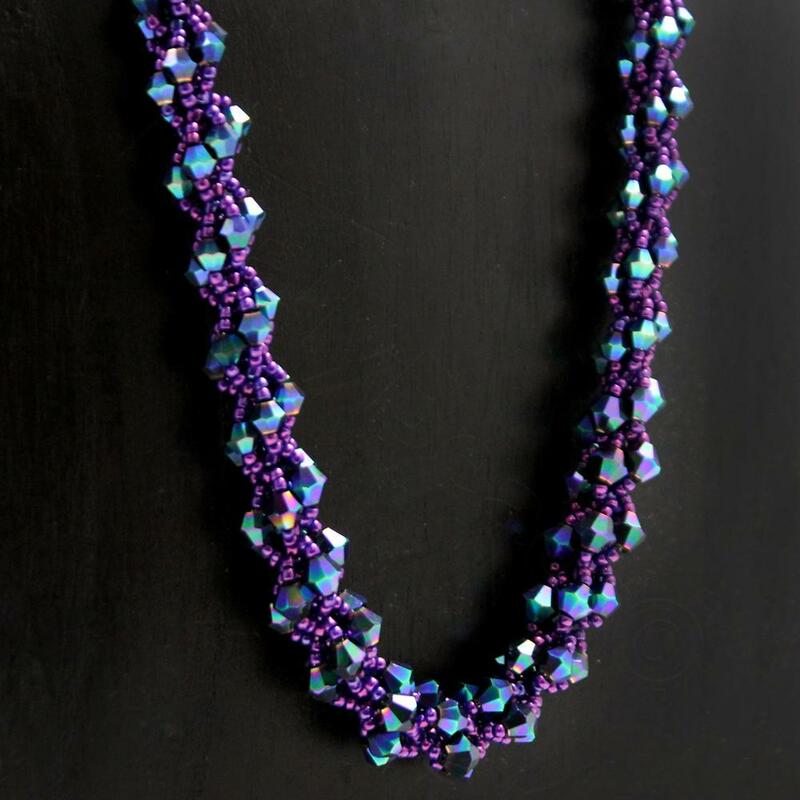 There are enough beads in the pack to make a 50cm (19 inches) necklace. The pack comes with fully illustrated instructions.